The municipal swimming pool on tiny Ko Lipe (island). OK, OK. Big boy make small joke. Beyond all reason, this is the actual color of the ocean on my little island paradise, like that of a chlorine-filled municipal swimming pool. The water color changes as the day progresses but about when the sun is directly overhead, the sea appears like the photo before you. Furthermore, there are few waves within this bay to disturb my daily record-breaking attempts at floating motionless much like a bloated sausage. 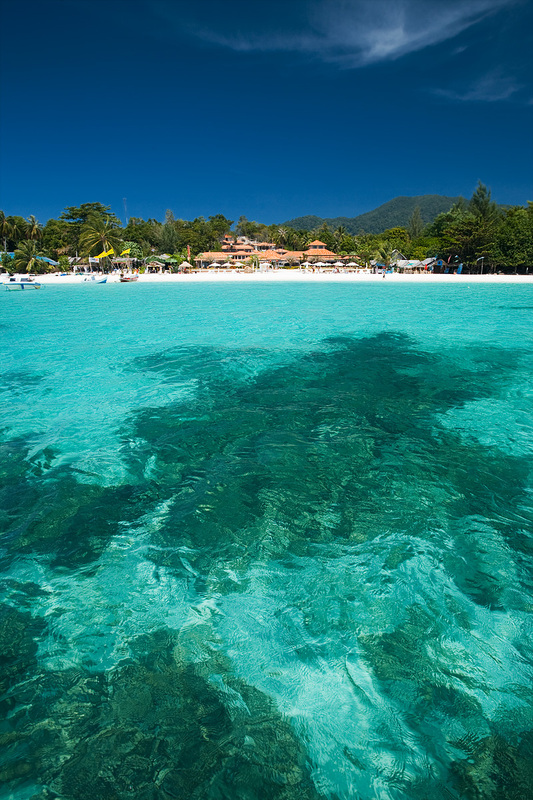 Coral silhouettes mark the bottom of the crystal clear water of Pattaya beach on Ko Lipe. The hotel, Sita Resort & Spa, you see before you is one of the first of many upcoming monstrosities on my little island paradise. During high season, rooms start at 6,500 Baht (~US$ 200) and approach an astronomic 21,000 Baht (US$ 630) per night. Years ago, there was nary even a 1 star hotel on the island. Now the package tourist onslaught has begun and the land grab in tandem. The current wooden bungalow establishments on the far end of Pattaya beach is slated to be cleared by year's end and replaced by yet another pair of 5 star resorts. If this is progress, so be it. As long as my wooden bungalow hotel continues to exist, I'll continue to pay a fraction of the cost of an overpriced concrete room and surprisingly have access to the same beach and crystal clear waters. Aww man, this is exactly what I need on a cold day in Colorado! Beautiful! 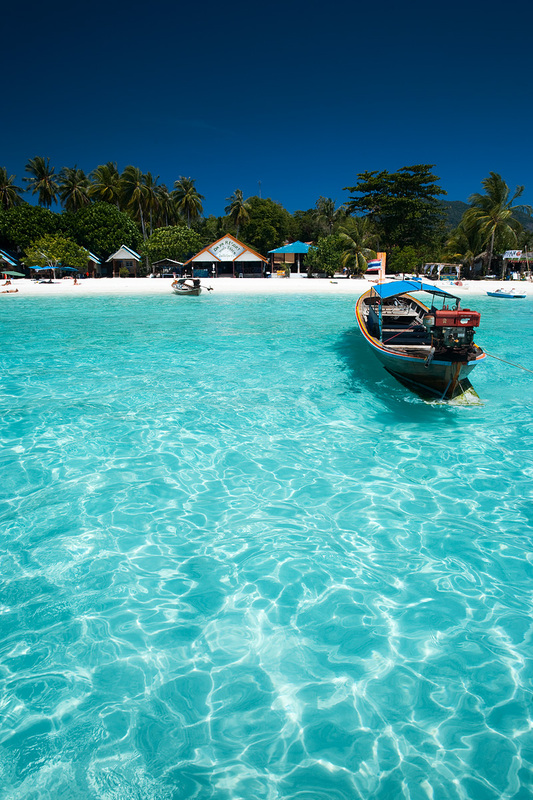 When you win your next photo contest, maybe the prize will bring you here! Check out Michael's website for some of the most beautiful landscape photography, this side of the Rio Grande. How much does your wooden bungalow hotel charge you? And what's its name? I might give Lipe a go at some point before things get too way out of hand. @R, it's already out of hand. It was hard to find anything below 500baht but we lucked out with a concrete bungalow at 240 bahts: Paradise Cottage on the west end of Pattaya beach.